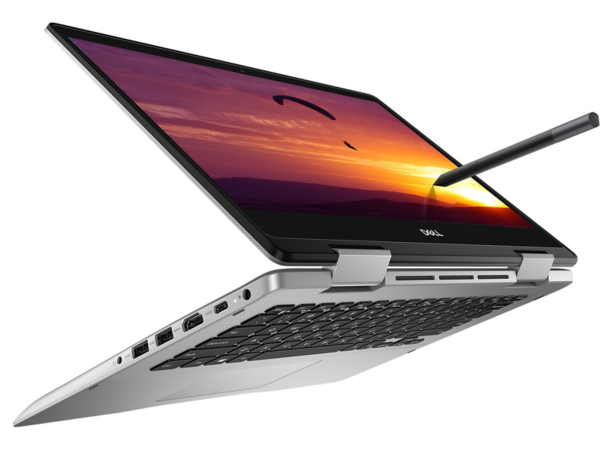 The 14-inch Inspiron convertible starts pretty cheap at under $600 USD for both a 1080p touchscreen and a modern Whiskey Lake-U CPU. We go more in-depth on the system to find out what else it may be hiding when compared to the competition. You won't mistake it for a $1,200-plus HP, Lenovo, or LG (or even Dell's more upscale Inspiron 7000 series), but the Inspiron 14 5000 2-in-1 is a sound convertible for about $900 in the peppy model we tested.